← Where in the World is Megan Frampton? 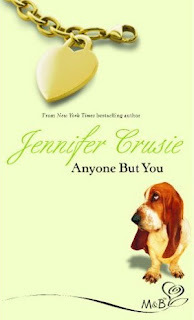 Last week while I was on vacation, I read Jennifer Crusie’s ANYONE BUT YOU. It was a hoot, a perfect beach read, and featured a “cookie-snatching, walk-avoiding, marathon-sleeping” dog who came close to upstaging the romance. I like animals in books. They add color and humor and always tell you something about the main characters. Some authors put animals into every book. I think almost every Mary Jo Putney book I’ve read has a cat in it somewhere. Laura Kinsale’s “mascot animals” range from a pig to a shark. I don’t try to write animals into every book, but there are a few I think of fondly. One of my favorites is the hero’s horse in my first book, LORD LANGDON’S KISS. I based him on Jack, a horse I used to ride while I was on international assignment in England (sadly deceased of a fatal case of colic). I loved Jack! He was the perfect gentleman; his owner told me the only time he might turn headstrong was if a hunt came nearby. In that case, she warned me that he would join the hunt and told me to just hang on, trust that he would jump anything in his path and that he would settle down after a few miles. It never happened but what an opportunity for Regency research that would have been! In SAVING LORD VERWOOD, the h/h rescue a seal pup (incident inspired by a visit to the Seal Sanctuary in Cornwall). I hoped they would put it on the cover, because it would have been something different. I was told a seal would be too cute. So they put ducks on the cover instead. 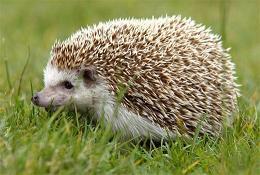 In LADY DEARING’S MASQUERADE, the heroine had a bunch of foundlings living on her estate, so I gave them a menagerie of pets, including a hedgehog that peed on the hero (based on a real incident at a nearby nature center). Do you enjoy animal characters in romances? What are your favorites? Do you think seals are cuter than ducks, or the opposite? This entry was posted in Uncategorized and tagged animals in romance. Bookmark the permalink. Great post, Elena! LOVE the horse pic. I am a bona fide animal lover, so it’s really hard to pick between seal and duck. Both are adorable. I do, however, love a seal’s baby face. One my fave writers, Liz Carlyle, has cats in almost all her books, and I love that. In one book, the hero is speaking with his brother (and it’s a pretty heated conversation), while, like, 3 or 4 kittens are crawling up his brother’s leg. I like to sneak cats into my books, too. I can’t always do it, but I always like to. And horses have had their roles here and there, too. Which is funny because I don’t really know much about horses. 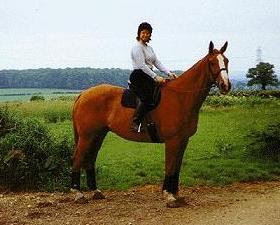 I would have loved to learn to ride and ride over the English countryside like you did, Elena!! I love animals in books, especially when they’re made a part of the story and are fun characters. Yes, I do think seals are cuter than ducks. Aww, RIP Jack. I’m almost sorry Jack didn’t take you hunting. What an experience that would’ve been! I like animals in books. Crusie almost convinced me to get a dachshund in Faking It. One of the characters in my last book is an elephant. And a pinto pony has an even bigger role. Always difficult to lose a pet. Sorry to hear about Jack. Animals reveal a great deal about the characters and the writer. I know who the dog lovers are, and who slipped a dog into the tale. I read one book where I cringed because the author clearly lost track of the dog. It drives me crazy when the animal appears for the moment in the scene and then “magically” disappears when no longer needed. Ducks over a seal? Really? Sounds like it was an excuse to use something more conventional. I love the scene in Faking It where Davy tells Steve, the dog, he has to buy the cat a drink before he can hit on her and the description of Tilda picturing Steve at a bar. I love the Crusie books. I’ve recently discovered Alison Pace who does a dog in every book. Some of her books I really like while others fall a bit short for me. But I adored If Andy Warhol Had a Girlfriend and the dogs in it were hysterical. Hi, glad everyone’s enjoying this post. Alyssia, that Liz Carlyle comment also reminded me of Flowers from the Storm by Laura Kinsale. The hero puts a kitten on the heroine’s head to make her stand still for a kiss. Agree on animals that are too human in fiction, Diane, though I can’t recall reading one in a romance. Judy, LOL about that dog that got lost. I’ve written a cat into the current WIP, because the heroine lives in a thatched cottage and needs one as a mouser. But so far she hasn’t developed a special personality, so I’ve taken to going back to make sure she doesn’t get lost. Jane and Artie Mesia, I’d forgotten that dog in FAKING IT. I’m slowly catching up with Crusie’s backlist, one per vacation. And Jane, I’m adding your book to the TBR list. Somehow I missed the fact that you’d published. What a great post, Elena! Seal pups are SO CUTE !! Then again, so are ducks. Tough call! What a handsome fellow Jack was. I could just see you following the hounds, sailing across hedges and fences! I had pet hedgehogs for years and they really are darling creatures. All of my books have animals in them. For those of you who know me – no big surprise there! Reading Jo Beverley’s An Unlikely Countess and there is a three-legged do in it named Toby who is quite a character. “Anyone But You” was my first romance read and I picked it because of Fred on the cover. Sheree, love that profile pic!